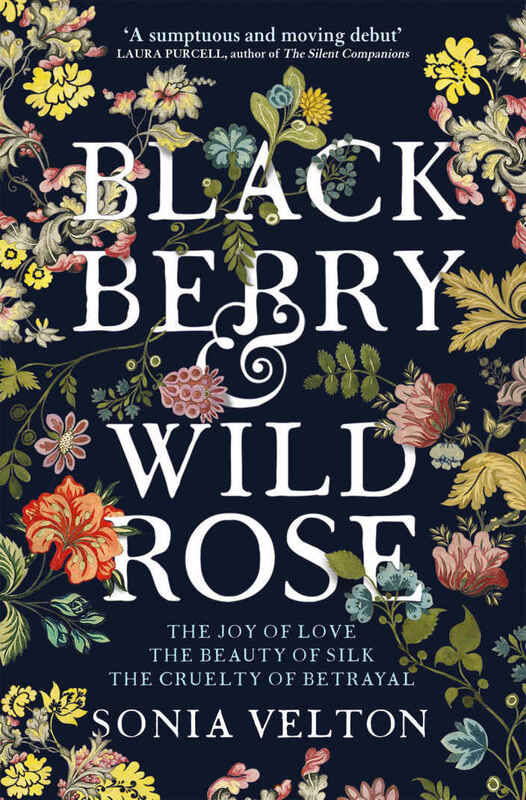 Blackberry and Wild Rose by Sonia Velton is set in 18th Century London, specifically within the silk industry in Spitalfields. Set against this vibrant backdrop, Velton weaves together the stories of two women–Sara, a former harlot and now maid, and Esther, wife of a wealthy silk weaver. Arriving in London naive and sheltered, Sara is quickly caught up in the trap of a woman who runs a bawdy house. The woman convinces Sara she must take care of her because no one else will–all Sara has to do is earn her keep. Sara unwillingly falls into this life, pulled along its tattered edges and brutal nights until one day she is approached by high class, religious Esther Thorel who offers a Bible and a way out. As Sara serves as Esther’s lady’s maid, their relationship becomes both tenuous and intimate. Esther takes pity on Sara and wishes to set her on a new path, while Sara begins to question her decision to take Esther’s offer and becomes resentful of Esther’s out of touch lifestyle. The women soon become intertwined with two journeyman weavers–one out for his own pleasure through Sara and the other selfless in his help and affection for Esther. Although separated by class and circumstance, both Sara and Esther must live their lives at the mercy of the men around them–the weavers, Esther’s husband, the wealthy Huguenot silk merchants. Sara seeks freedom, while Esther also desires it in the form of one day designing and creating her own silks–much to her husband’s chagrin. The relationship between Sara and Esther drives Blackberry and Wild Rose, the flowers and fruit themselves mirrors of each character. The reader is meant to view Esther favorably because of her charity toward Sara, yet through Sara’s eyes we see how out of touch Esther truly still is. Each woman is beautifully crafted in complex and vivid ways. Each woman survives by any means she can in a man’s world. The 18th Century world of the Spitalfields silk market was a delicious backdrop, and what’s more, interesting in its factual inclusions along with beautiful description. Sonia Velton has a complex and touching hit with her first novel.